“I am just a nice girl trying to make it in this crazy, crazy world. I like road trips without directions and I love dogs more than humans. After being sick with relentless SINUSITIS for a week now, I decided enough was enough and to get to the doctor. Doc was quick to write out a script for the obvious z-pack (boo, I can’t drink for 5 days), but also stressed the importance of using a Neti pot 2-3x daily. 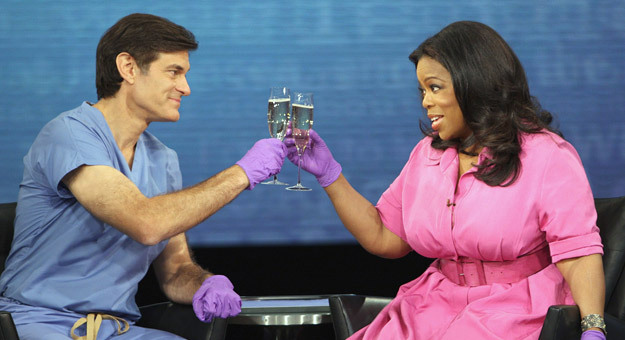 For some time now I’ve been curious to try a Neti pot; Oprah & Dr. Oz boast about it…must be legit. 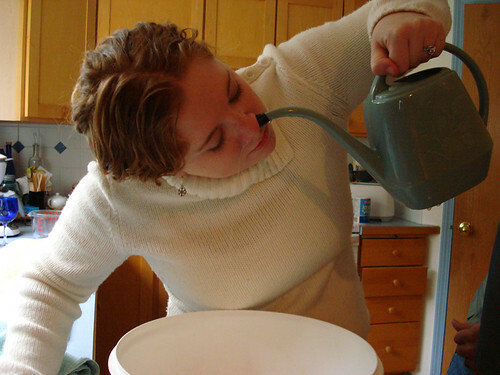 What is a Neti pot you may ask? It’s a little teapot-like vessel one uses to pour a saline solution UP YOUR NOSE! Basically, it’s used to irrigate the nasal passages and clean them out. You tilt your head, put the spout in the uphill nostril, and pour the saline solution into the sinus cavity. Gravity will pull the solution out the other nostril (along with some of that nasty green/yellow mucous that has been renting space in your sinus cavities). Sounds easy enough, but I still had no idea how to do this and there was no way I was spending $15 bucks after dropping $50 at the doctor’s office. So where do you turn for all of your life’s knowledge? GOOGLE!! Sure enough, there was a bunch of DIY Neti pot sites and very entertaining instructional videos. i.e “Cheap Shot Johnny’s White Trash New Age Health Remedies,” fast forward to 2:40. 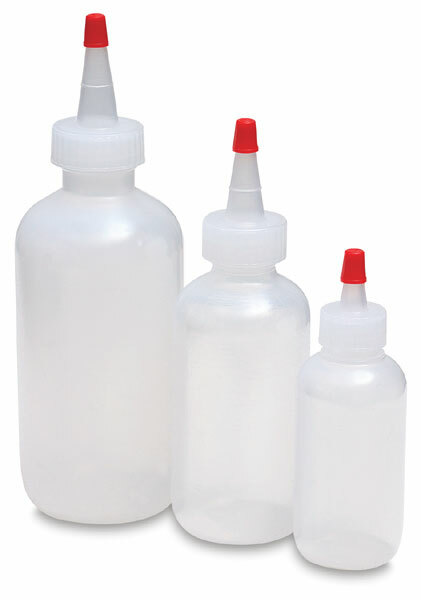 What they all mostly consist of is water bottles or soap bottles with spout tops. If you don’t have any, I highly recommend a trip to your local Dollar Store to buy one instead of dropping the bank at your local drugstore for this piece of nasal hardware. I happened to have a bottle which fit the bill, so I cleaned it out and gave it a shot. Disclaimer: vanity precludes a photo of the actual irrigation process . . . In two cups of warm, sterilized water (I boiled tap water) I mixed 1/2 teaspoon of non-iodized salt and 1/2 teaspoon of baking soda. The baking soda is supposed to protect the nasal membranes from being dried out or irritated by the salt. I used Sea salt. Anyhow, don’t take this recipe as gospel; it varies from site to site. So, I mixed it all up and put it in the squeeze bottle and put the squeeze bottle in my nose. I tilted my head and gently squeezed (the bottle, not my head). Initially, it was a little disconcerting. 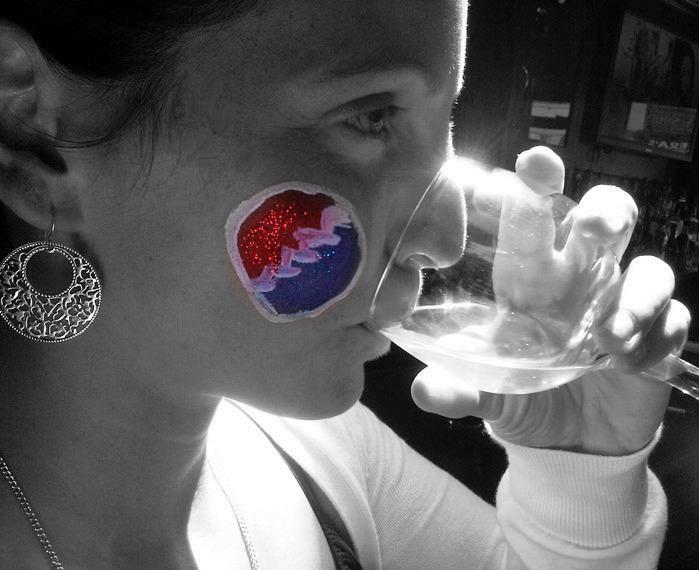 It felt like, well, it felt like warm water up my nose! But, really, once things got going, it was actually really pleasant. After each nostril, you’re supposed to gently blow your nose. Oh, and don’t plug either nostril while you’re doing any of this. You don’t want to force anything back into your ear canals. Overall, it worked REALLY well. It worked too well and now I’m kind of addicted. The relief you get is sensational. I am absolutely proud to say that I am 110% hooked on Nasal Irrigation, hence why I would even take the time to guest blog about it! 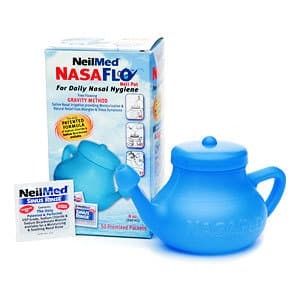 DollarTree sells Nasal Irrigating pots for $1 with a packet of solution.